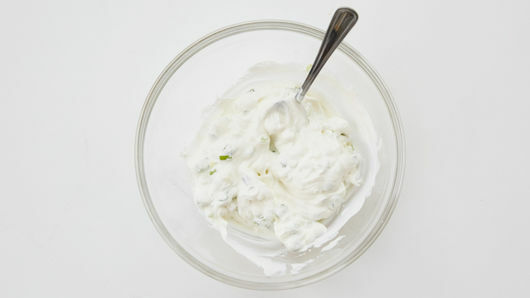 In small bowl, stir 3/4 cup sour cream and 2 tablespoons green onions until well mixed. Set aside. In large bowl, beat eggs, 2 tablespoons sour cream, the flour, salt and pepper until well mixed. 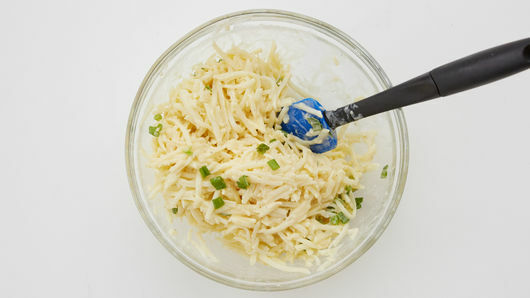 Stir in hash browns and 1/4 cup green onions until well mixed. 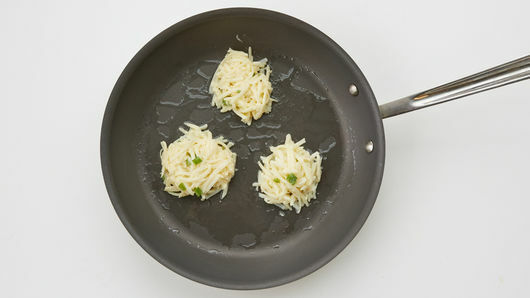 In 12-inch nonstick skillet, heat 1 tablespoon of the oil over medium heat. To make 4 pancakes, drop 1/4 cupfuls potato mixture into skillet; flatten. Cook 5 to 6 minutes, turning once, until golden brown and crispy. Repeat twice with remaining oil and potato mixture. Serve warm with sour cream mixture. For the success of this recipe, it is important that the oil is hot and the pancakes are crisp before turning. 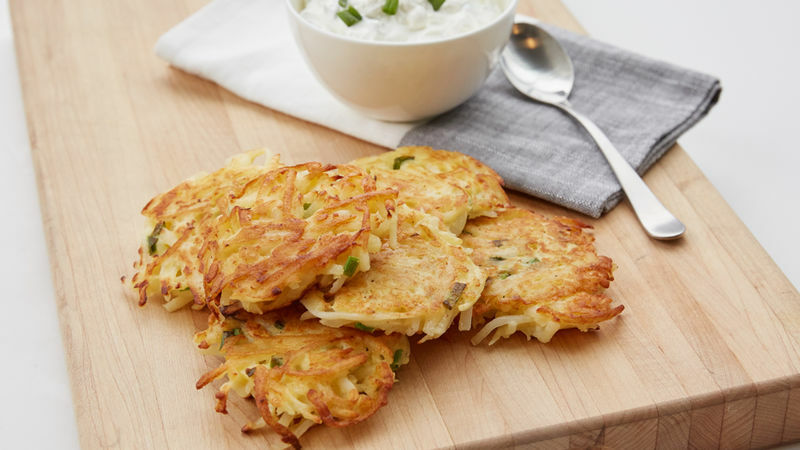 Serve these easy potato pancakes for brunch or breakfast with scrambled eggs and sausage patties.